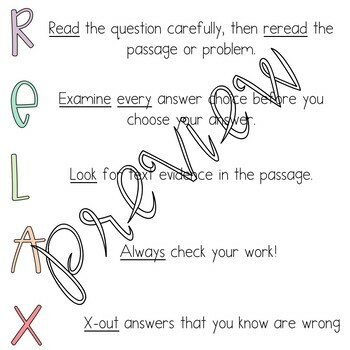 Prepare your students with the tools they need to approach their tests with confidence and strategies to make them successful! 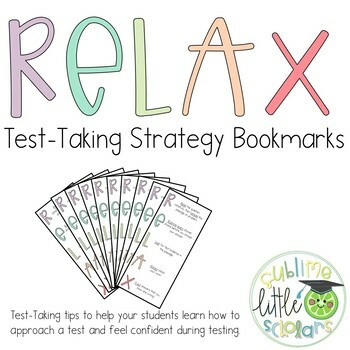 These bookmarks are intended to help your students RELAX when they are facing a test. 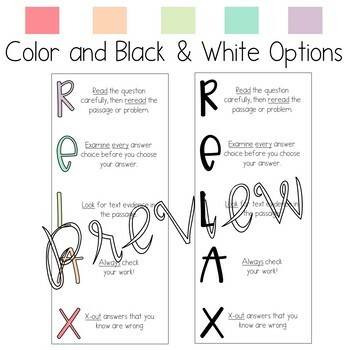 Practice these strategies in the weeks leading up to their tests, and when they go to take it, it won't seem as stressful. 3 bookmarks are on one page to make printing a breeze! Need more bookmarks? Check out these llama bookmarks!